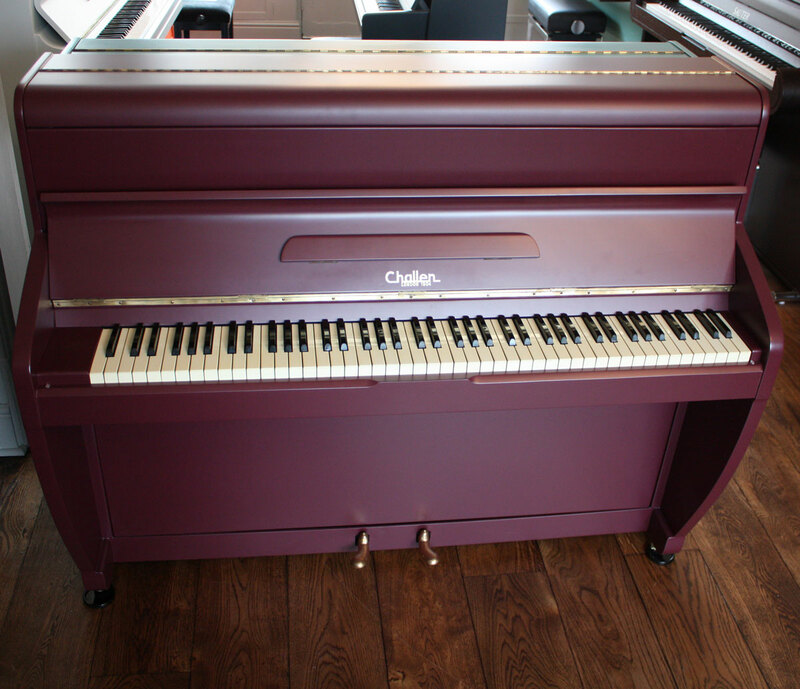 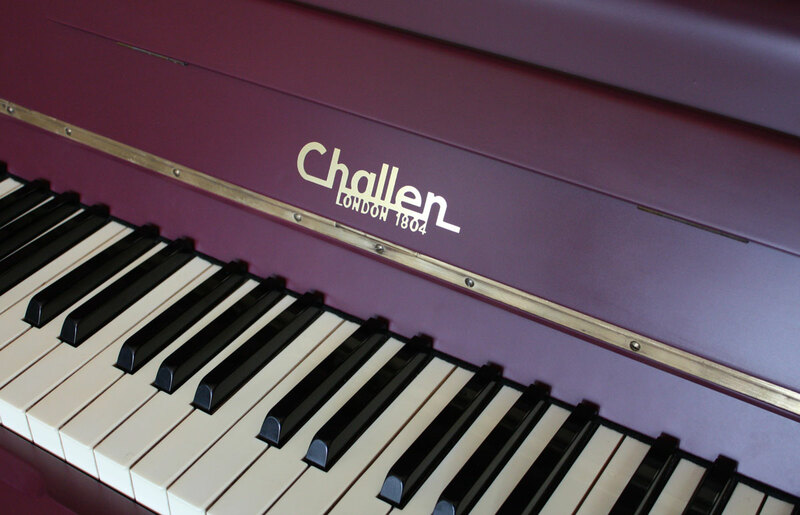 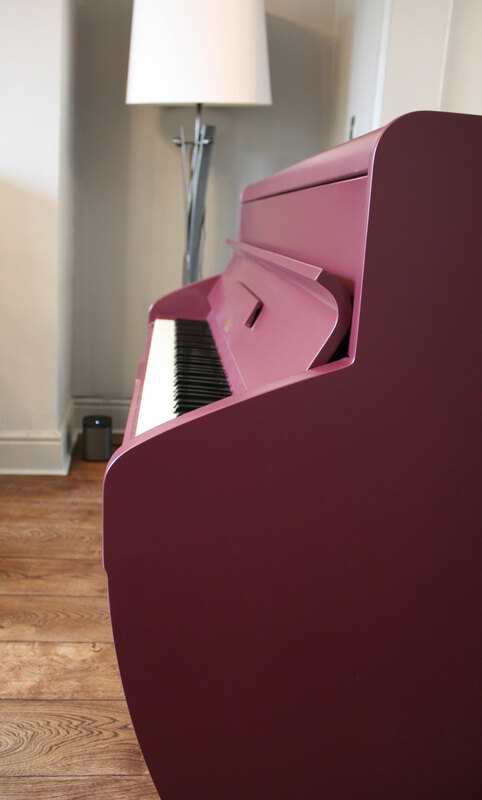 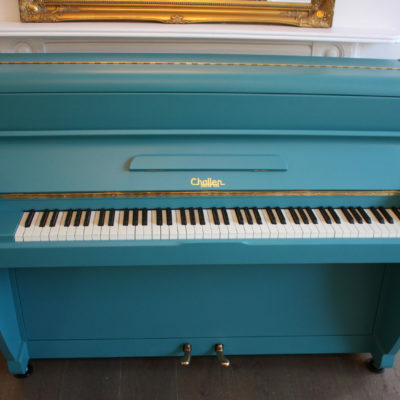 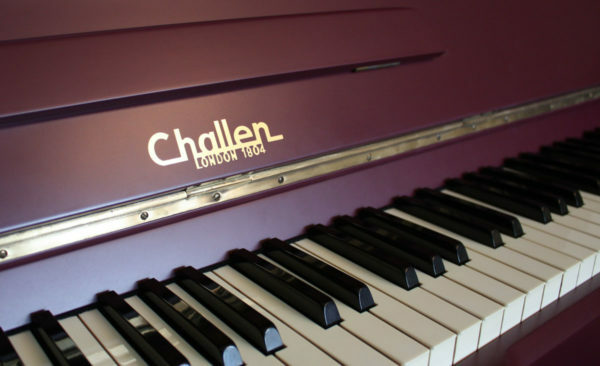 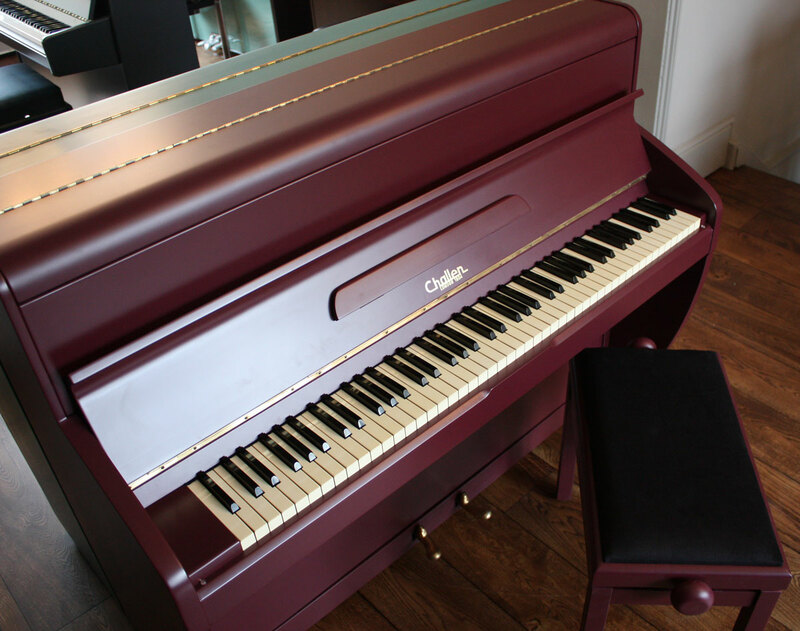 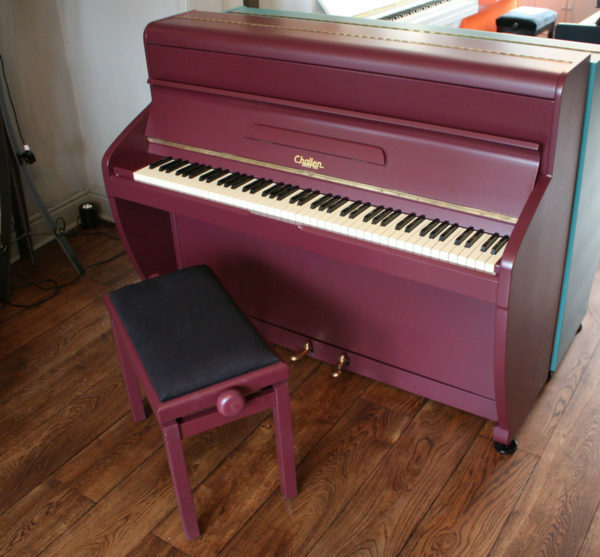 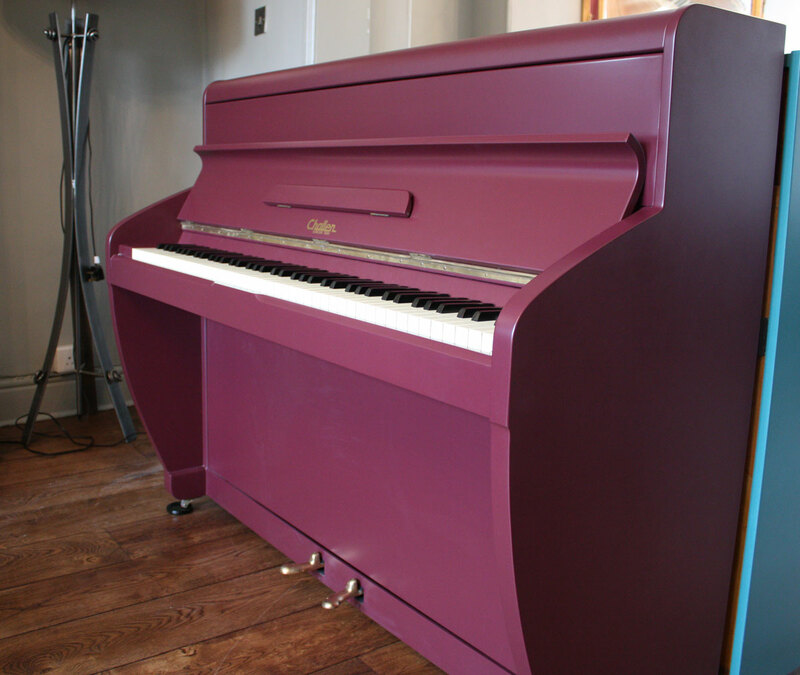 A stylish update to a quirky cabinet design, this Challen piano has been painted in the contemporary colour of ‘Brinjal’ which highlights the beautiful curved side-panels. 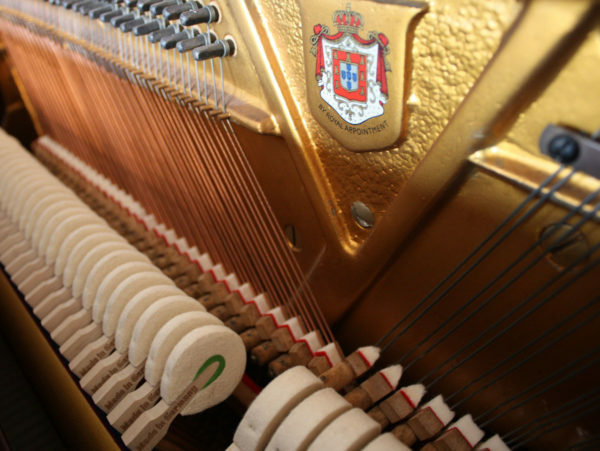 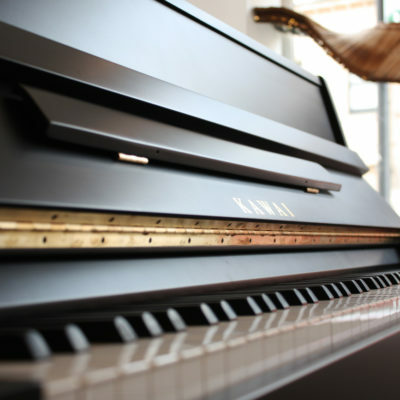 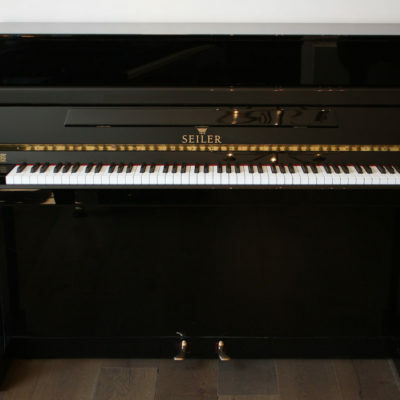 Our expert technicians have extensively worked on this piano, fitting a new set of Renner hammers and dampers that has brought out its lovely warm tone. 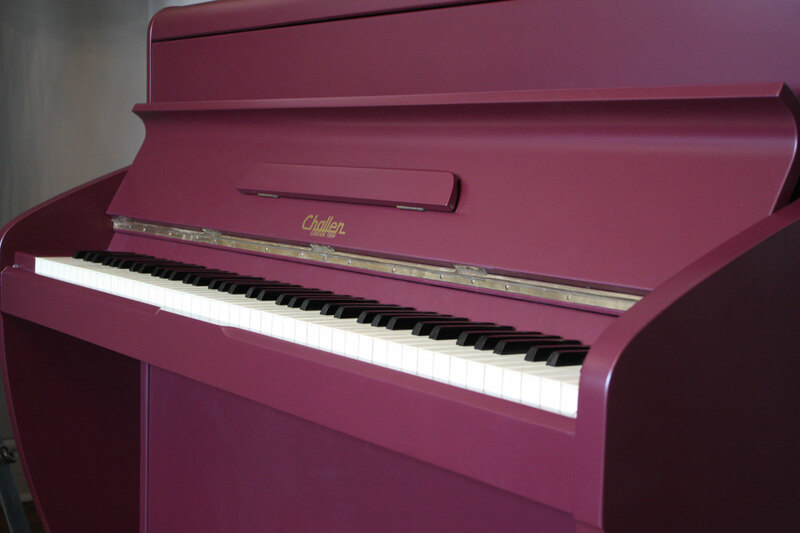 This piano features a responsive medium action and would be a good instrument for beginner to intermediate players.